Observe and you can always find something to learn. That’s how I feel about movement, Minecraft and modeling relating with each other. 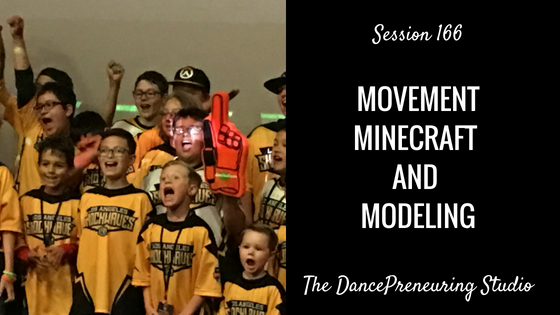 I share some insights from these recent experiences in this session of The DancePreneuring Studio. Determine what needs your individual effort, or you need to approach something differently for the betterment of a group as a whole. Determine whether you need to work on your weakness or strength. I think it’s a case by case scenario. Check your attitude towards commitment. Break out of your normal movement patterns to gain different perspectives. Be willing to get uncomfortable. Remember that your passions and dreams are important. Stillness doesn’t mean stalling. Stillness can inspire more creativity if you make space for it.